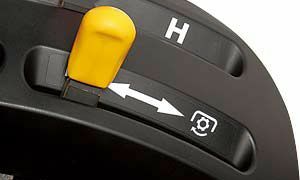 To provide a more comfortable driving position, the steering wheel tilts upward and downward. 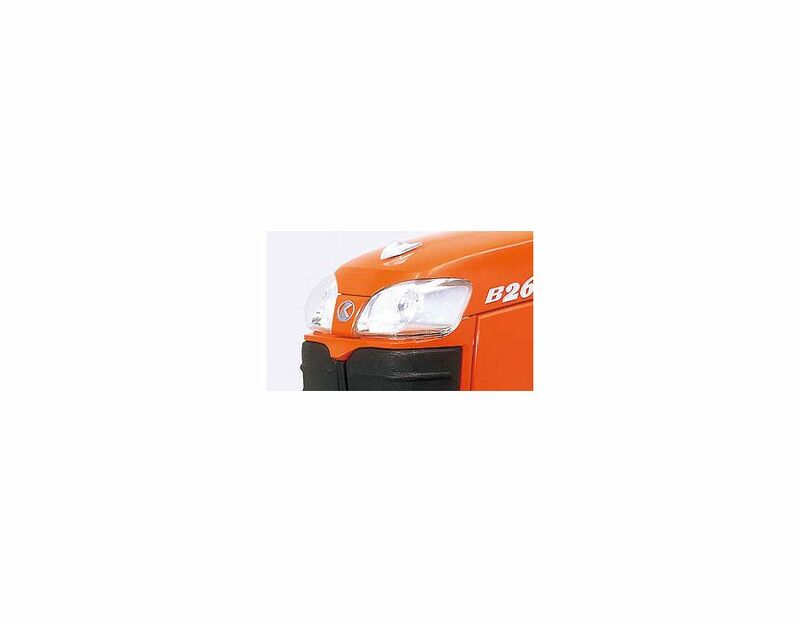 No matter when or where you’re working, our new, multi-reflective headlights will let you see further and better. 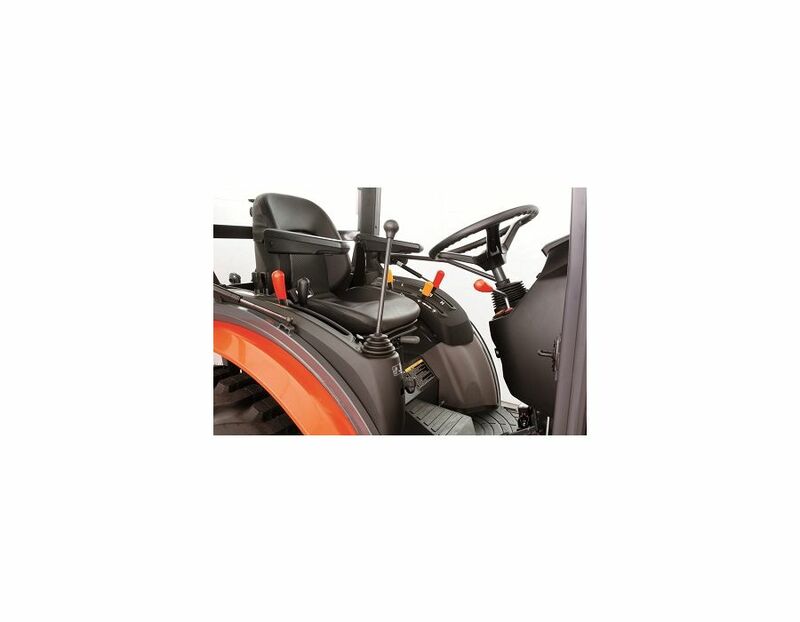 Three point hitch position control gives the operator more precise control of your rear implements. 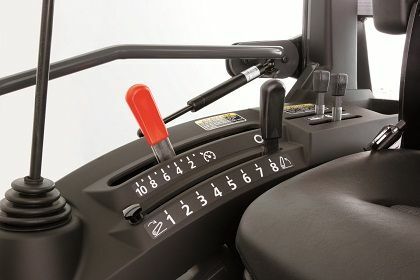 The loader lever is integrated with the lever console so it does not have to be retrofitted when mounting the loader. 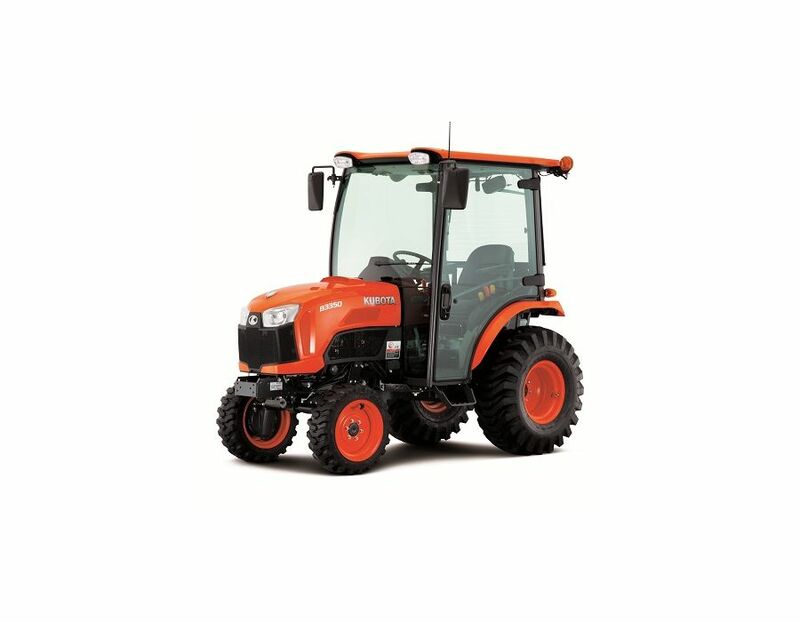 The Kubota B2650HSDC Deluxe B50 Series Tractor has a 26 hp diesel engine built for greater power and with cleaner emissions and it has 19.5 PTO hp. 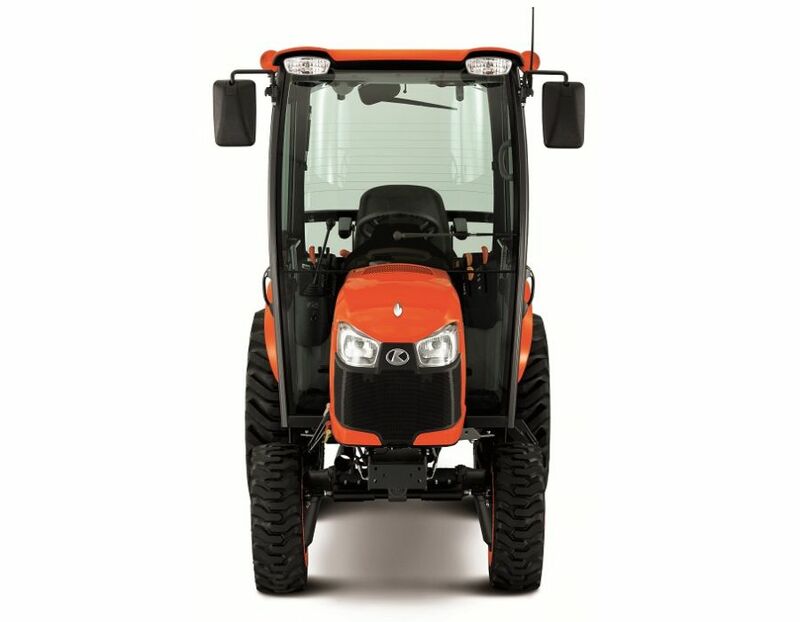 This tractor is the first in its class to employ an integrated cab. 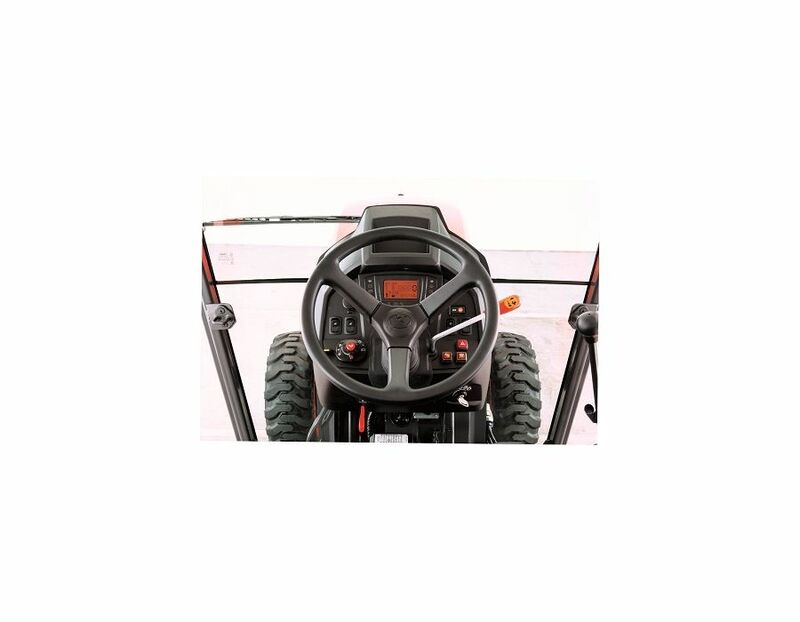 This tractor boats a user friendly control layout for easier access to controls and smooother operation. 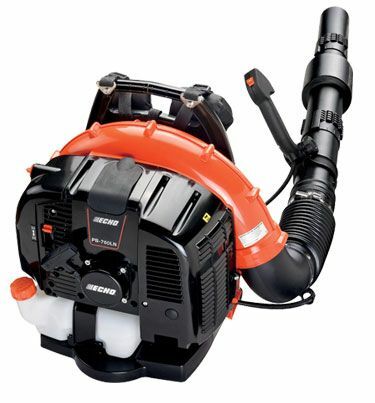 Also features cruise control and a classy LCD display panel. 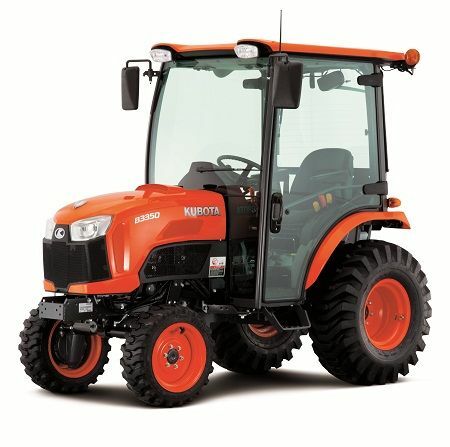 Get class-leading, luxury and comfort with this all new Kubota B2650HSDC tractor. 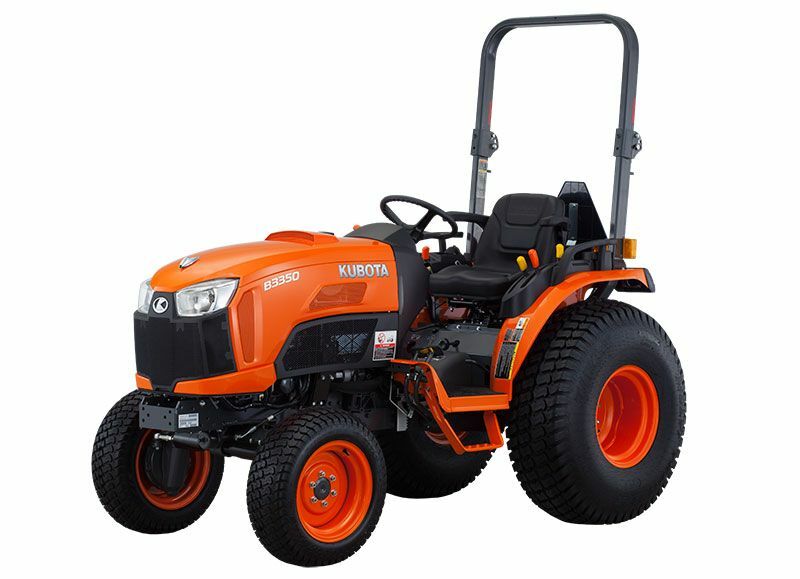 26 hp Kubota diesel engine - High output 4 cylinder Kubota diesel engine is built for greater power and with cleaner emissions. 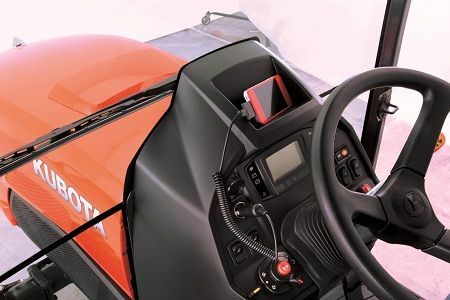 New Integrated Cab Design - The cab and overfenders are integrally welded to the body's sheet metal parts which allows for a 4-pillar construction with rounded glass that deliveres more cab space and a wider field of view. Doors open wide for easier entry and exit. 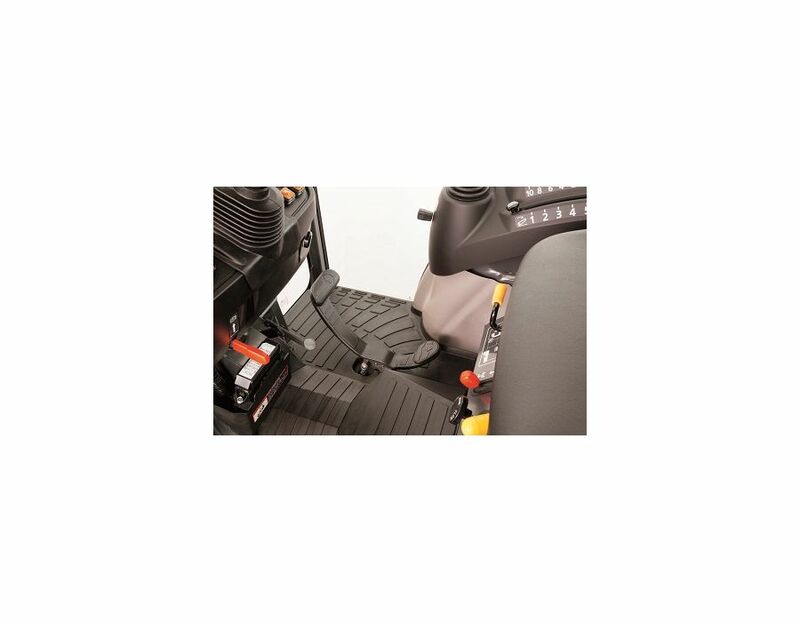 The integrated design also eliminates holes in the floor for pedals for an environment that minimizes noise and unwanted dust from entering the cab for greater comfort. 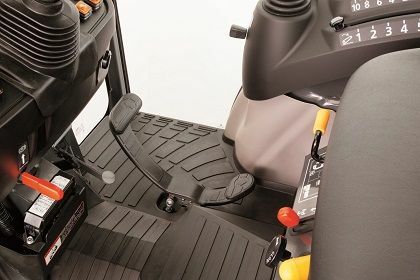 HST pedal - For easier operation of the HST pedal and more right-side foot space, the brake pedal has been moved to the left side of the steering column. 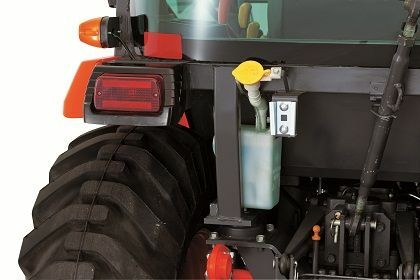 Hydraulic independant PTO - An efficient feature that keeps you working, the independent PTO lets you engage or disengage both the mid and rear PTO without having to stop the tractor. 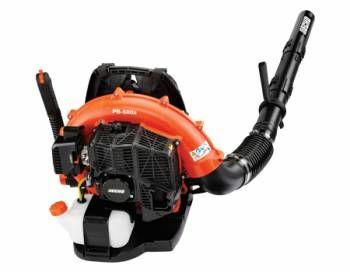 Power Steering - This must-have feature provides nimble handling while greatly reducing fatigue during long hours of operation. 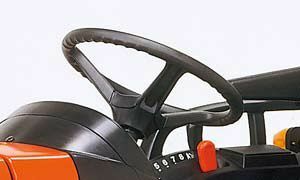 Tilt Steering Wheel - To provide a more comfortable driving position, the steering wheel tilts upward and downward. 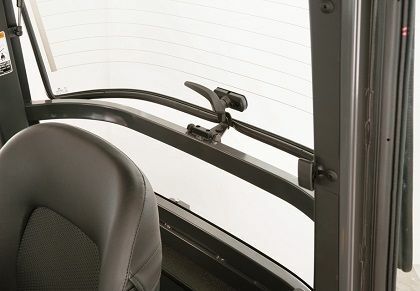 Rear window vent - the rear window half-lock opens just enough for fresh air ventilation while minimizing grass hay and dust. 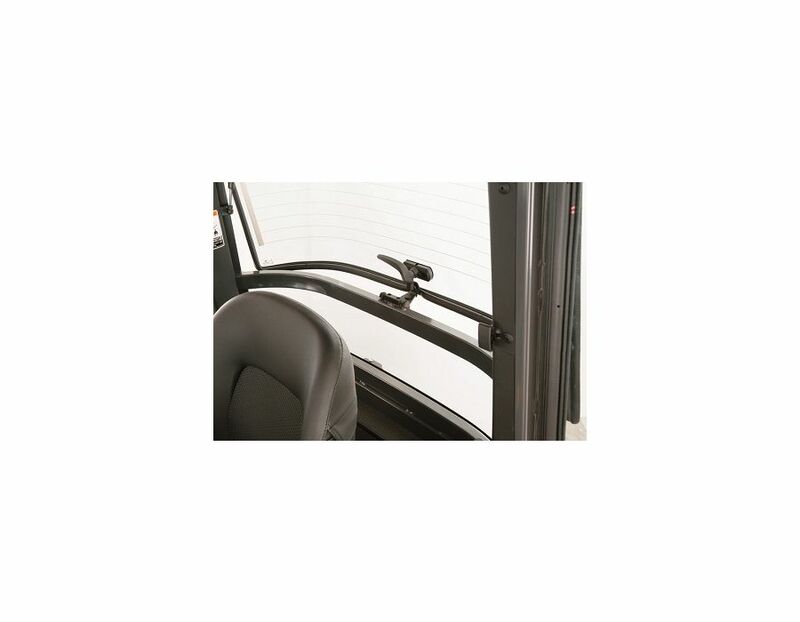 It's also useful for talking to people from inside the cab with the doors closed. 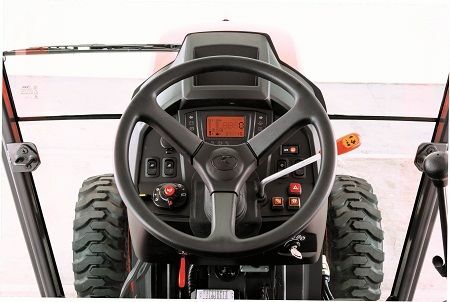 Cruise Control - Kubota's new multi-stage notch type cruise control offers lighter lever operations to keep your working speed constant. 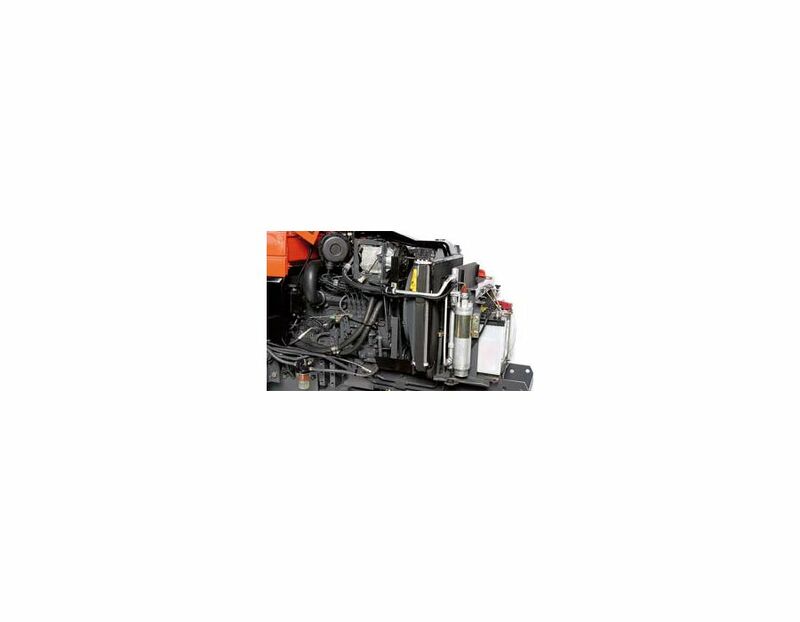 A/C and Heater - With the rounded cab and strategically placed air outlets that optimize air circulation, the air conditioner keeps you cooler on hot days and the heater keeps you warmer on cold days. 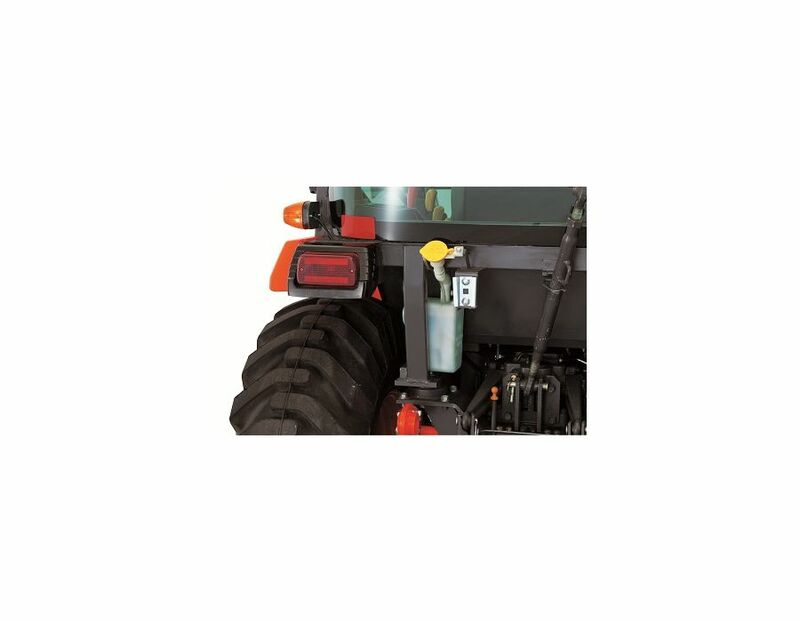 Multi reflective headlights - No matter when or where you’re working, these multi-reflective headlights will let you see further and better. 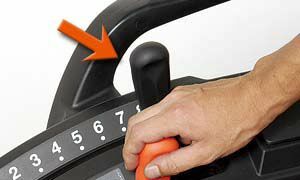 Three point hitch position control - This feature gives you more precise control of your rear implements. 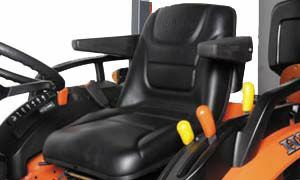 Ratchet type lift rod - For speedy adjustments to 3-point mounted implements, lift rod adjustments can be made without using tools. 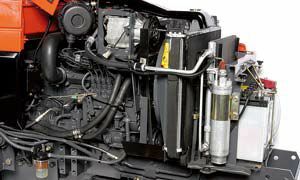 Telescopic lower link ends - With an intelligent design, the telescopic lower-link ends make attaching and detaching implements a snap. 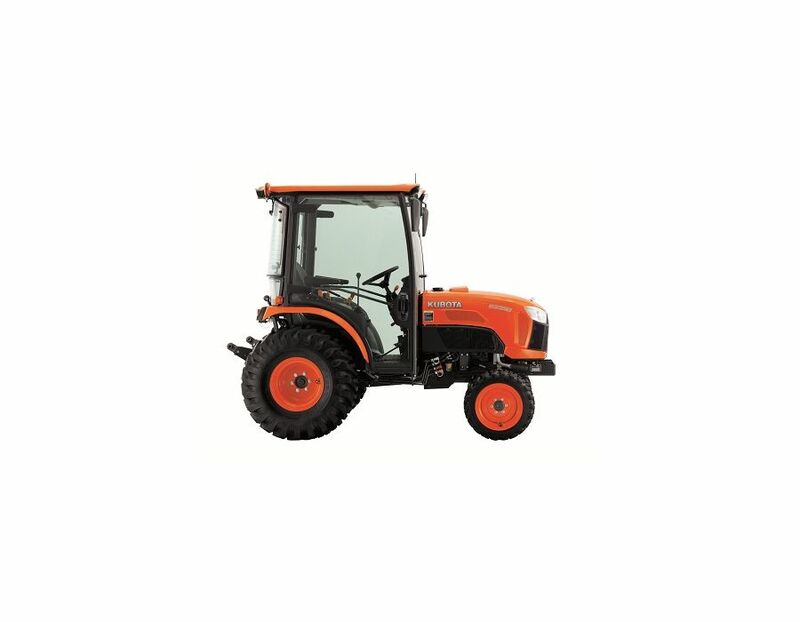 Telescopic stabilizers - For easy adjustment of the 3-point hitch, nothing beats Kubota's telescopic stabilizers. 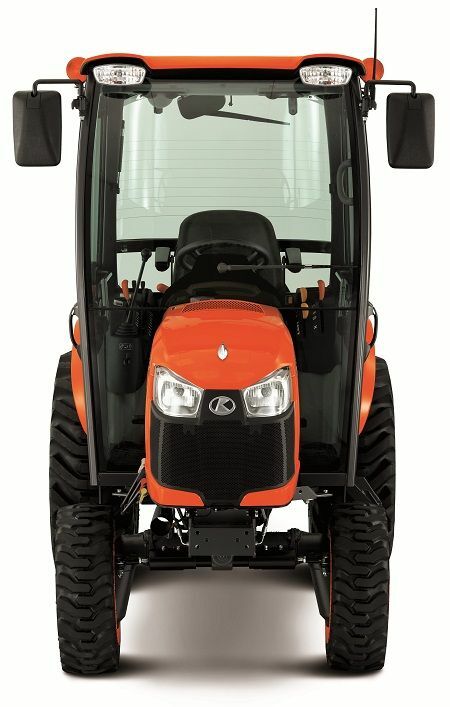 Increased 3 point hitch lift capacity - Now, with even more hydraulic power, you can take on larger, heavy-duty rear implements, and perform them with more authority. 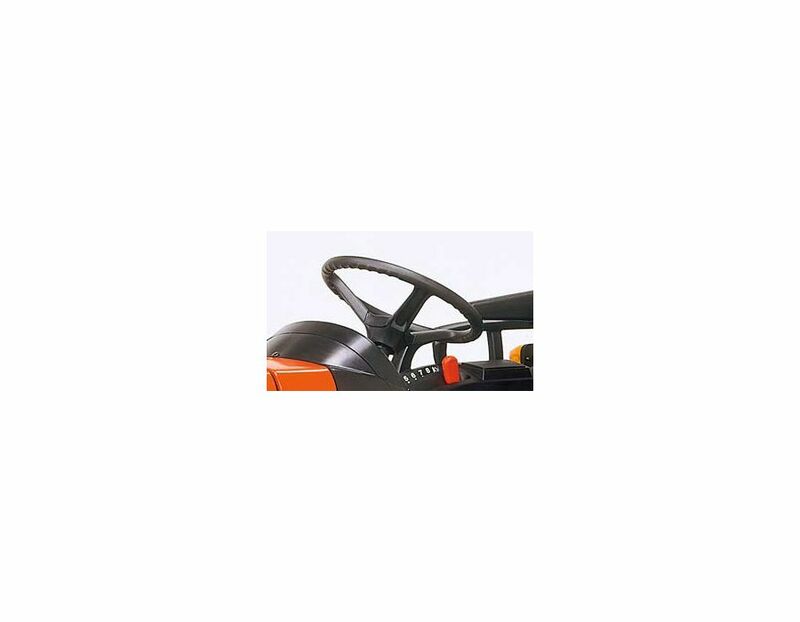 Offset mid-PTO - Being offset to the side, quick installation and removal of the mower is now possible. 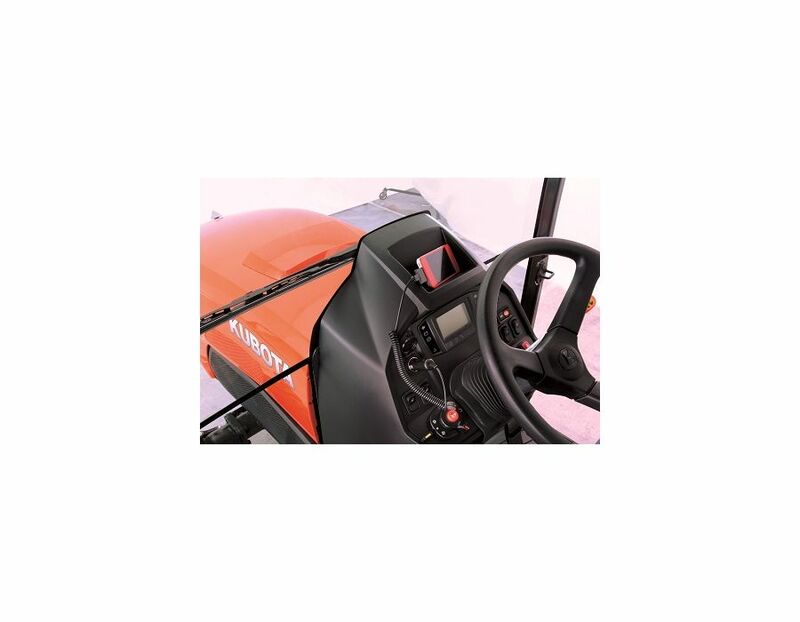 Dash Panel - Large numbers, the easy-to-read dash panel lets you quickly monitor vital tractor functions such as engine speed, engine temperature, fuel level, etc. 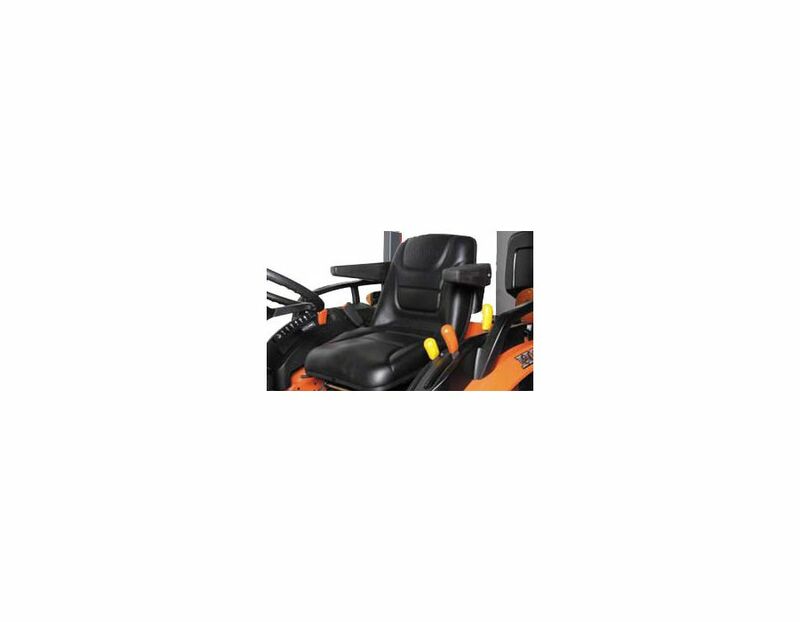 Deluxe High Back Seat - With parallel-link suspension and armrests, this deluxe seat is comfortable and fatigue-reducing allowing you to stay in the driver’s seat longer. 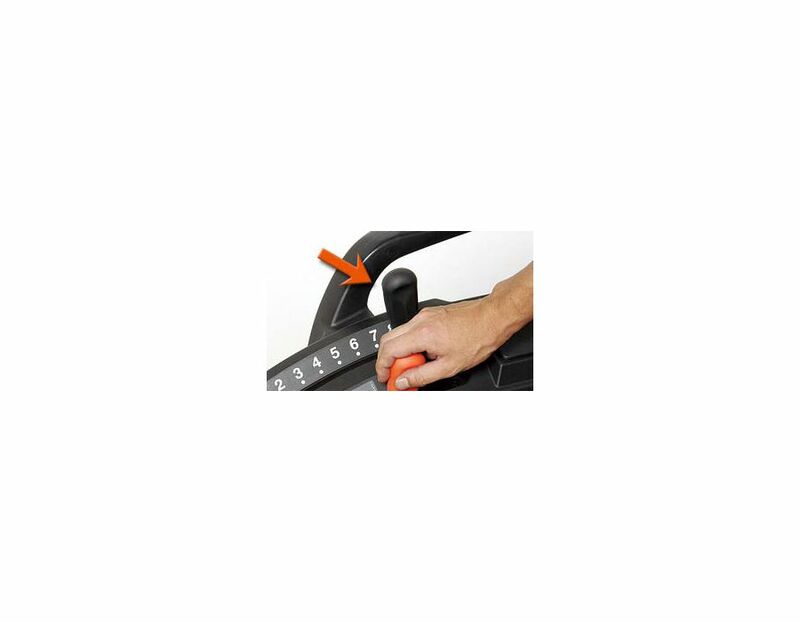 12V Socket and Storage Compartment - charge your cell phone or electronic devices with the 12V socket next to the storage compartment. 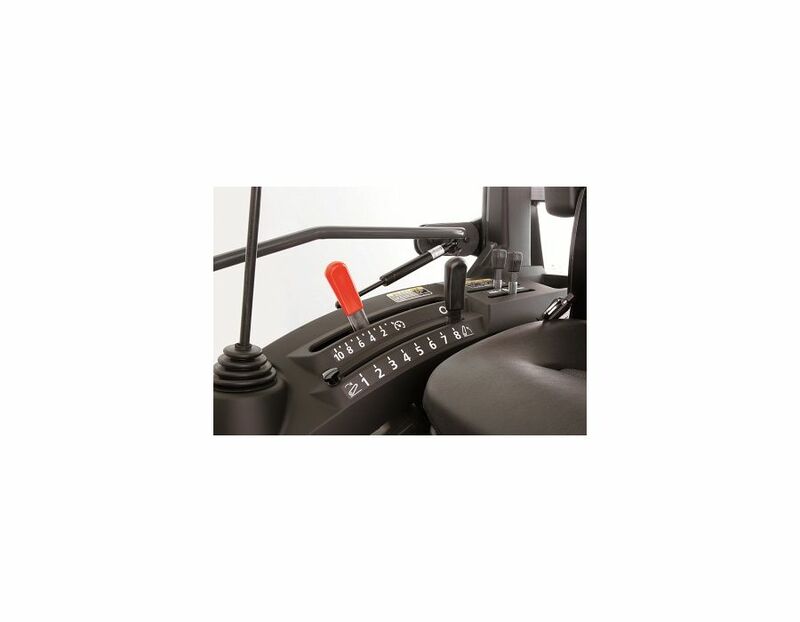 Place your device in the storage compartment above the LCD display panel, making it readily accessible. 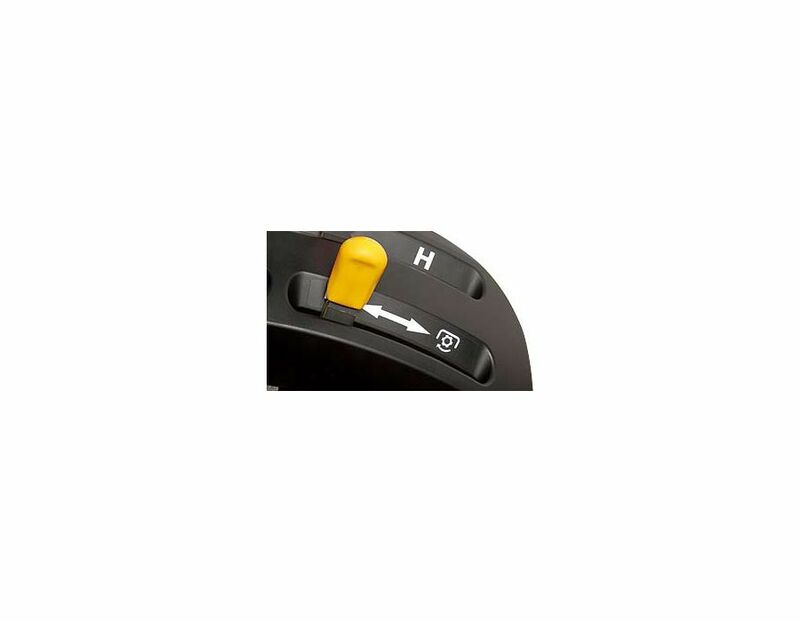 Loader lever - The loader lever is integrated with the lever console and standard equipped on the B50 series so it does not have to be retrofitted when mounting the loader. 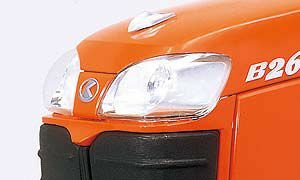 One Piece Hood - the front grill and newly designed headlamps are now integrated with the hood for easier opening and closing and more convenient access to the engine. 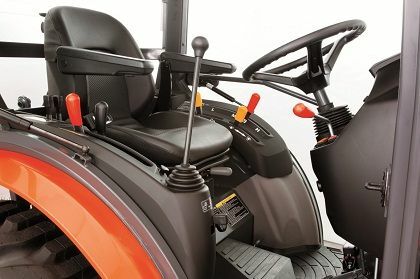 2 Lever quick coupler - Kubota’s quick coupler now features two levers to make attaching/detaching front attachments quicker and easier. 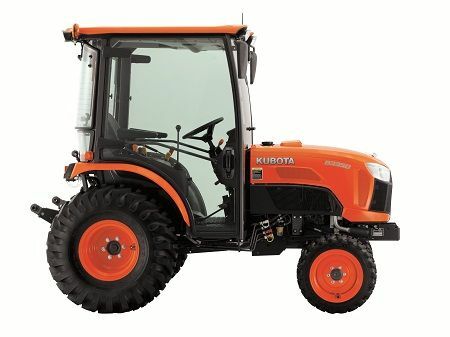 The Kubota B2650HSDC Deluxe B50 Series Tractor 26HP is available at Kooy Brothers Equipment Ltd, located at 1919 Wilson Avenue in Toronto, Ontario.